New York is packed so tightly with art and history that sometimes it’s easy to overlook a real winner. 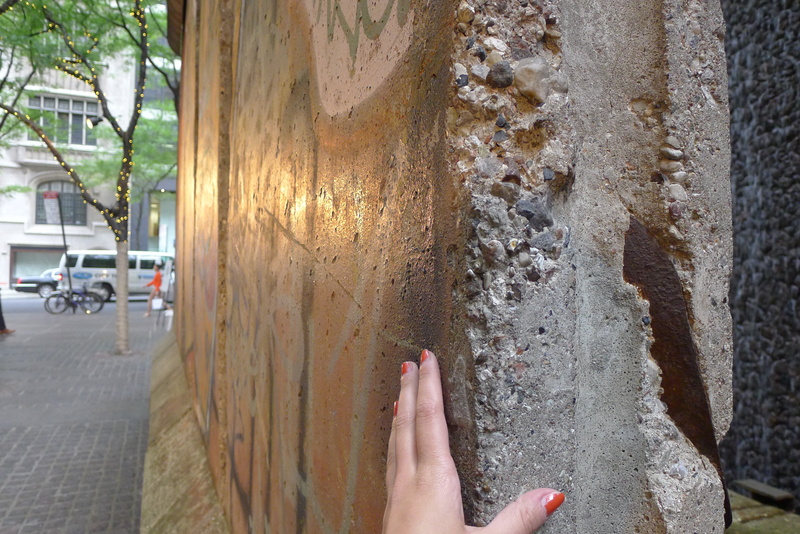 Tonight I popped up to Midtown to see one of these giant gems: A section of the Berlin Wall. 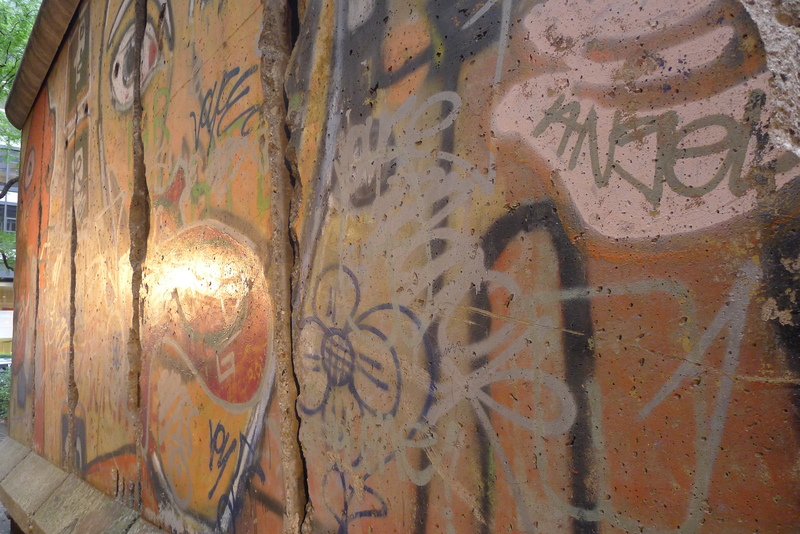 The fall of the Wall is actually one of my earliest memories. I was only three at the time, so I’m pretty chuffed with myself that I stopped having a bazzy long enough to somehow absorb what was unfolding on our TV, even if I didn’t understand it. 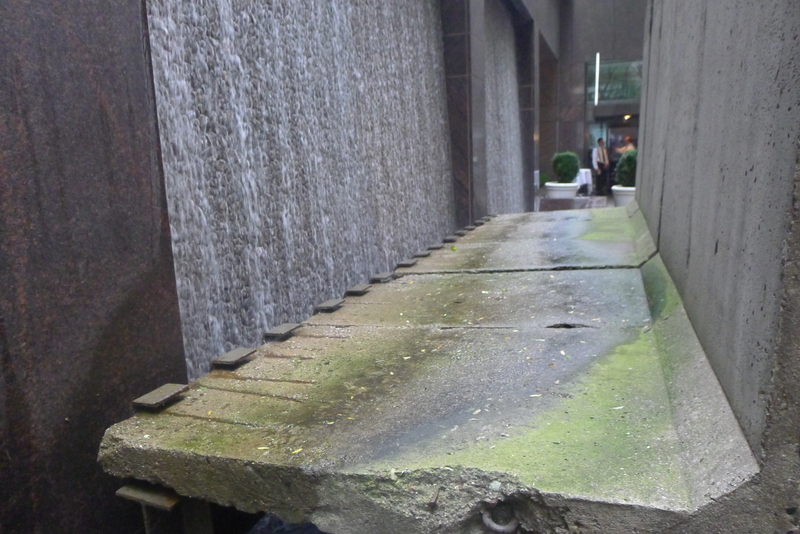 This piece, which is found on 53rd Street between Madison and Fifth, was shipped across the Atlantic the following year. It is made of five panels in total, leaving it standing 12 feet tall and 20 feet wide. It’s domineering and impenetrably thick – and yet I was surprised that it wasn’t taller. It was also covered with graffiti. In the early 1980s, painter Thierry Noir lived in an apartment close to the Berlin Wall and felt compelled to rebel against it – and began painting the surfaces to make it ridiculous and to ultimately lessen its menace. 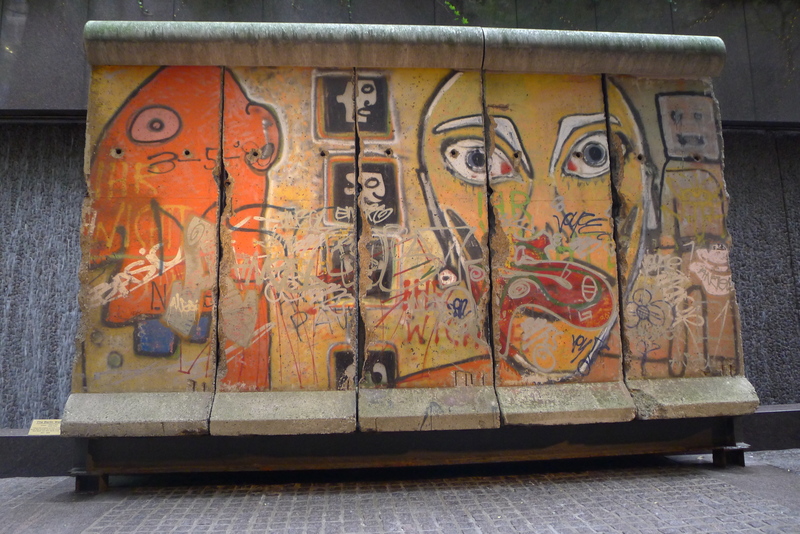 With other artists, Noir covered sections of the wall with paint and graffiti – and this section shows several large grimacing faces that seem to be mocking the structure. 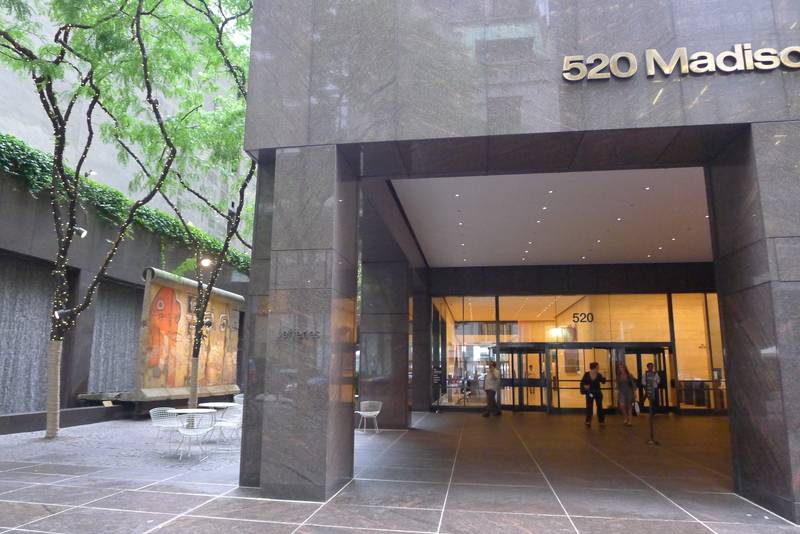 It ended up in New York after the former East German government sold it to Jerry Speyer, a real estate tycoon who owns the plaza where it now stands. 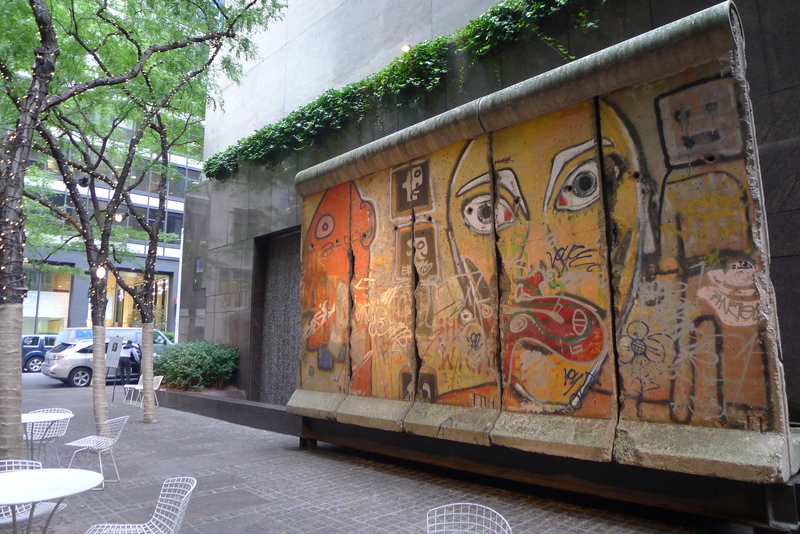 Surprisingly, it’s not the only section in the city – another panel can be found at the Intrepid Museum on the west side, another down by the World Financial Center and a third in the UN HQ gardens. Who knew? I lived in Europe for 25 years – and even have family in Germany – but I love how it took me coming to New York to finally witness this little large piece of history. How amazing that it remained in a relatively large piece, i would have thought it would be mainly rubble. Like you I expected it to be taller. Do people add graffiti to it today or is it untouched? Amazing not behind some class cabinet. Noo, you can’t add to it – which is good I think! what side is the graffiti on?